Tonic DM is a powerful and easy to use cloud-based project information management system built specifically for AEC professionals. What's coming next for Tonic DM? It's like "Moneyball" for the AEC. Schedule a roadmap presentation today. Exceed client expectations by providing visibility into project information. Quickly find the email that will save the day regardless of who sent it. Easily manage and share information across all the project’s teams. Are project emails stuck in personal inboxes? Correspondence should be part of the project record. Tonic DM makes this easy. Filed emails are organized by project so staff can keep up-to-date with the team's correspondence. Powerful filtering and search allow emails to be recalled quickly. 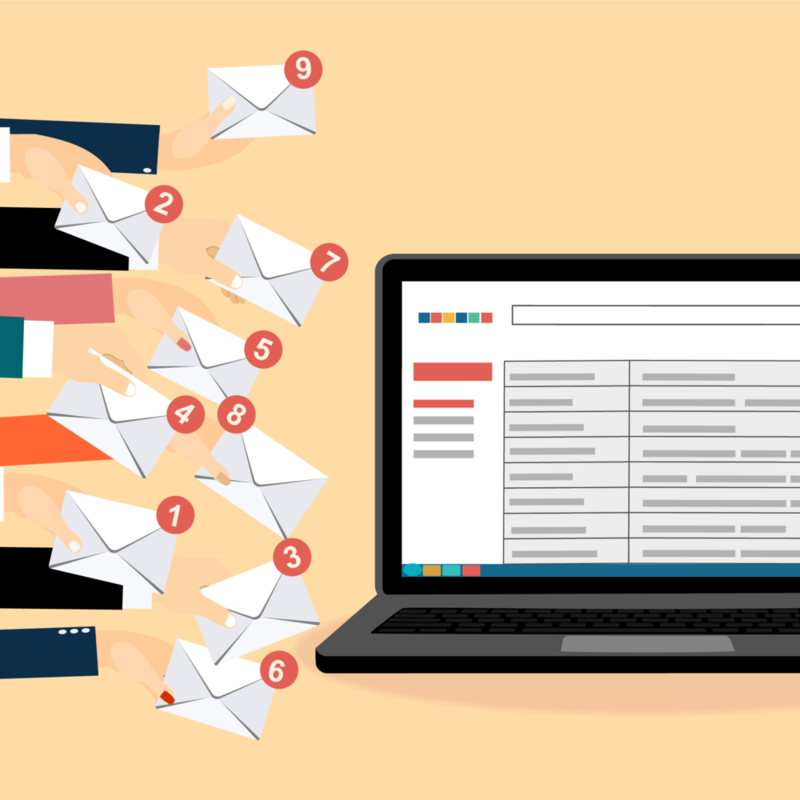 Automation handles most email filing, reducing the burden on staff and increasing the completeness of the project records. Filed emails are stored in the cloud and can optionally be synced down to the project folders on your local network. Works with Outlook on PC, Mac and web. Do all your sent and received files get saved in your project records? Getting files from A to B should be a no brainer, yet we still use personal accounts in Dropbox or WeTransfer. While these systems are fast and easy to use, many official transfers don't get saved in the project record. Tonic DM creates the transmittal automatically, tracks who downloaded what and when, and maintains those records under your control. Do you spend time manually logging RFIs and submittals? Tonic DM's RFI and submittal management system is customized for the needs of design teams. Communicate privately and efficiently within the design team, and leverage integrations with Procore and email to streamline GC communications. Keep excellent records with effectively no data entry with each participating organization getting logs and documentation that remain under their control. Are you managing design projects on systems intended for contractors? 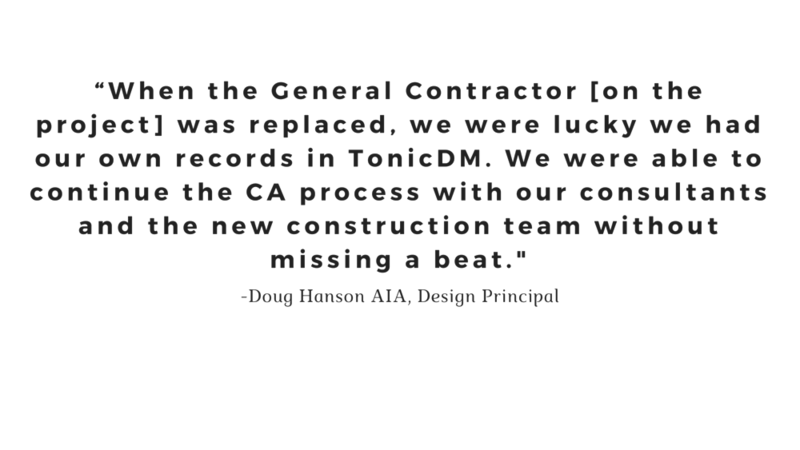 Tonic DM is 100% focused on teams in the building industry. This means we can eliminate typical complexities and provide pre-configured workflows, automated record keeping and a minimalist interface requiring practically no setup or training. We've streamlined project infomation management, from quickly inviting your project partners to a concise reminder in the morning if there are items that need your attention. Tonic DM is simple and easy. Microsoft Office 365 for filing email into your project records. Procore to eliminate the need to copy-type RFI and submittal data. Azure AD and Okta for enterprise user management. Deltek Vision and Microsoft Dynamics for syncing project information. Get started today - licences start at $15 per month.